Poorna (Naga Chaitanya Akkineni), A wannabe cricketer falls for Anshu (Divyansha Kaushik). They both get seperated due to unavoidable circumstances. Without his choice Poorna marries Sravani (Samantha Akkineni) but, he is unable to move on from Anshu and accept Sravani. How Poorna realises Sravani's love and what made him understand Sravani's pain forms 'Majili'. Let’s just put it up front. Naga Chaitanya delivers a memorable career-best performance in Majili. Fans will love the character of Poorna for a long time to come. The role offers the right blend of emotions and takes us through a journey that is both relatable and reflective. And Naga Chaitanya makes sure these are reflected in his acting. The biggest stand out is the way the character of Poorna grows from a teenager to a mature adult. The various shades in the role are neatly brought out. There is continuous growth and build up, and it all comes together beautifully in the climax when Poorna speaks his heart out. The genuineness in the emotion can be felt. It also helps a great deal that it is Samantha on the other end. It brings us to Samantha, who is also no less to anyone. Though she enters just before the interval, as far as impact is considered, it is up there with Chaitanya. The subtle chemistry she has with Chaitu is a treat to watch onscreen. 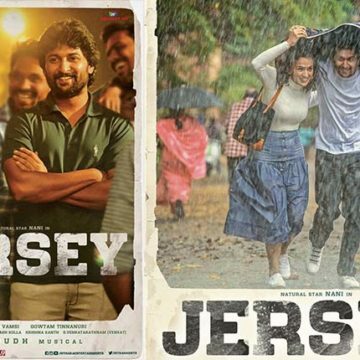 The drama feels real, and that’s where Majili becomes a winner. Divyansha Kaushik’s role is critical for the whole movie to work. She brings the right charm and warmth to the character that makes Poorna falling for her believable. The chemistry shines, and hence the proceedings work. Rao Ramesh is brilliant as usual landing all the punches perfectly. Together with Posani Krishna Murali, they add emotional depth to the family sentiments. Chai Biscuit Suhas has got a memorable role. Sudharshan and other friend’s gang are well cast. Subbaraju in a negative shaded character leaves a stinging effect. Shiva Nirvana is back with a new outing after Ninnu Kori. 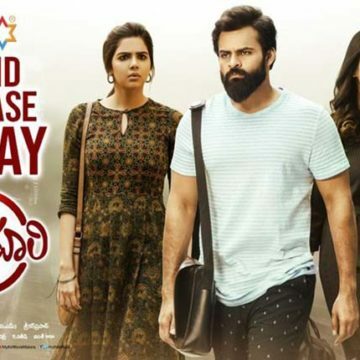 The movie due to its setting in Visakhapatnam give a similar vibe in presentation, but the characters and journey and drama they go through is an entirely different one. The way Shiva Nirvana showcases his world in layered fashion unveiling different characters and motives at various points in the narrative shows us the spark of a master craftsman in the making. These additions never come across as formulaic and help the viewer get immersed into the world. Another significant aspect is the designing and integration of various characters to forward the narrative. They never stagnate the story, predictable or otherwise, or are there to show their acting skills; they are only to facilitate the journey as believable. The excellent writing adds to the involvement in the story. It provides entertainment and drama and equal doses without ever coming together as calculative. The first and the second half go about its story in a clear cut manner without stopping for commercial add-ons. It might make one get a feeling of slowness, or drag in between, but when we reach the climax, everything comes together. A solid punch is felt, and all the various emotions come together wonderfully leaving us content and warm with a genuine heartfelt emotional connect. You know a movie is a success when the characters stay with us more than the actors who play them. The music by Gopi Sunder is fantastic, and it adds to the overall feel. The “Priyathama” song stands out and will remain as an evergreen classic for the new generation. The background score by SS Thaman compliments the songs and further elevates the proceedings. It is sure to be among the career-best works of the musician. The cinematography by Vishnu Sharma is beautiful. It brings a different feel to the love story with its realistic but elegant touch. Prawin Pudi gives a proper flow of emotions with his neat and swift editing work. 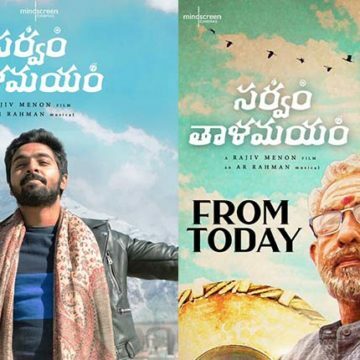 The producers Sahu Garapati and Harish Peddi need to be appreciated for backing a film with sensitivity in emotions, for going to real feelings instead of overpitched melodrama. It is a daring step given they also go hand in hand with uncompromising production values. They should also be part of all the praises for the backing.